I love reading the scathing reports on the latest super foods, health drinks, powders and cook books, generated by the media. We have happily eaten hot dogs, turkey twizzlers, Burger King and battery farmed chickens for years – yet should someone decide to come up with a supplement or a new way of eating that claims any health benefits then all hell breaks loose. Why is that? Schadenfreude when someone feels and looks good after changing their way of life or just plain suspicion of anything new. The mind boggles. 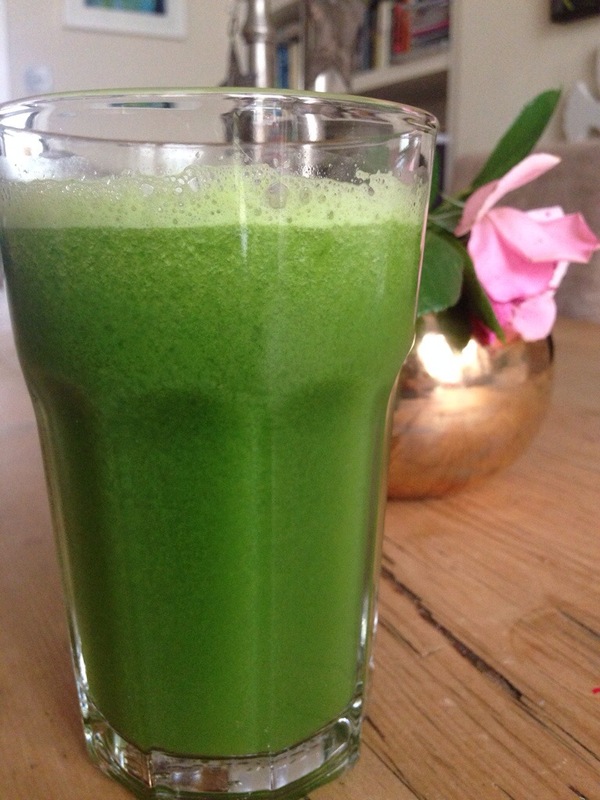 In any case – today’s green juice comes from the much maligned Gwyneth Paltrow’s cook book ‘It’s All Good’. This book is filled with gluten and dairy free recipes and drinks – yet includes meat – that are tasty and fresh. As gluten and dairy are causing allergic reactions and discomfort in many, this book ought to be both helpful and inspiring. I suspect the book would have had a different reception should the author be a civil servant with a couple of gluten intolerant children in tow. Still, I suspect she cares not much about the critique as her book flew off the shelves. I very much enjoyed her juice this morning and hope you will do too.